We’re working in collaboration with Seattle Parks and Recreation. The Parks Commons Program is an opportunity for community members to work collaboratively with Seattle Parks and Recreation to improve the social climate of our neighborhood park. Identifying, developing and launching new activities that increase usage of the park and enrich the lives of local residents. Identifying areas of the park that require short and long term infrastructure improvements that are either handled directly by Seattle Parks and Recreation or by way of community engagement through work projects and grant applications. The first phase of community planning needs YOU. All programs and improvements need your community planning and engagement. The first phase of community planning requires soliciting ideas from the community, coordination of initial Spring 2018 community programs and implementing an outreach plan to build the “Roxhill Park Champions” steering committee. Parks Commons Program coordinator Randy Wiger works directly with the Roxhill Park Champions to provide project guidance and city support every step of the way. Bring your ideas to our next meeting. Let us know what ideas you have, and how you might get involved. Meeting location and times are here. 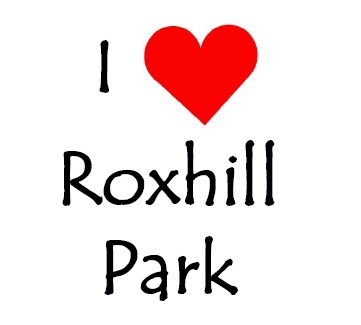 Roxhill Park has several zones of opportunity. The goal of the Parks Commons Program is to develop community capacity and civic engagement in event production, and the program is assigned to parks that experience long-term public safety issues and where those issues would be improved by increased community use of these parks. The program is typically assigned to four or so parks at a time, with each neighborhood generally receiving the program’s services for two to three years (or summer seasons). The first year the coordinator meets the community and assists to launch whatever events or activities the community decides will enrich their neighborhood, and the following years the program assists the community to stabilize these events and activities as annually recurring, sustainable events. • to launch new positive uses and family-friendly events which are open to all. • to develop community capacity and civic engagement especially in event production. • to strengthen community presence and sense of ownership in these public spaces. • to increase positive uses and activities in the park which are actively supported by the community. • to build community capacity for implementing and sustaining positive uses and activities over time. • to increase sense of community ownership in the condition of the park. • A commons cannot be commodified because it is owned by everyone. • A commons cannot be exclusionary because as a public space it is open to all. • A commons is not scarce but abundant, and at its best it overcomes scarcity for all.